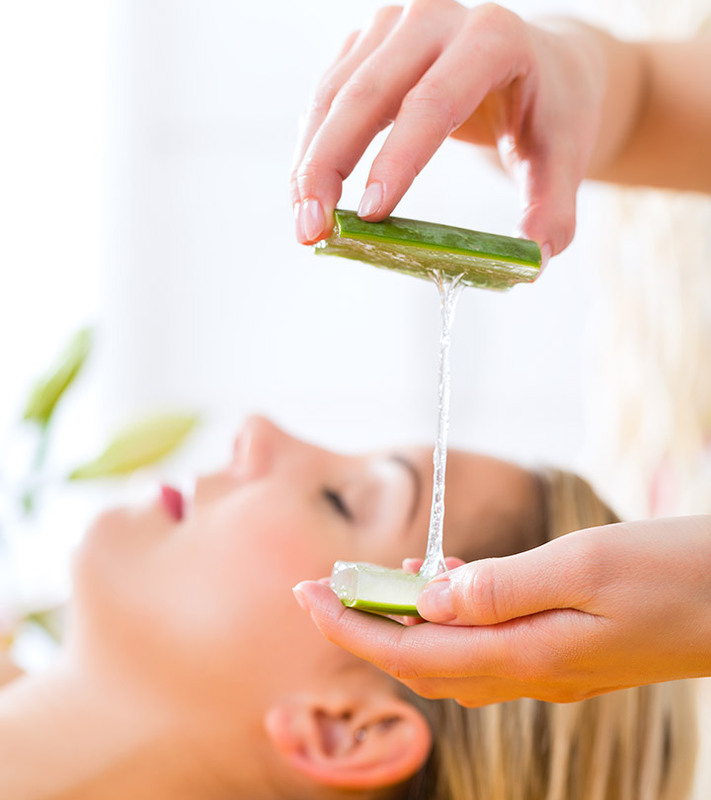 Aloe vera is a commonly used ingredient in herbal concoctions, medicines, and cosmetics. 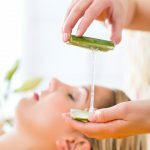 The first reported use was documented in an Egyptian scrollwhere the use of aloe vera gel with other agents to cure various skin and other internal disorders was mentioned. The most beneficial part of this plant is the leaf. These long and succulent appendages contain a potent gel that makes aloe vera such an amazing go-to natural ingredient for skin remedies. Aloe vera gel rejuvenates the skin, hydrates it, and keeps your skin looking fresh all the time. It is an excellent moisturizer for skin (1). It has antimicrobial properties, making it ideal to treat acne and pimples (2). It is a great naturally occurring antioxidant that reverses the oxidative damage experienced by the skin. This will reduce dullness and give your skin a natural glow(3). It is known to retain your skin’s firmness – making it a good anti-aging cream. Aloe vera is known to reduce pain and inflammation – both internally and externally. It is medicinally also used to treat sun burns, insect bites, eczema, cuts and wounds. It removes dead skin cells and facilitates the rebuilding of fresh and new cells (4). It is a de-pigmentation agent, which means that it can effectively lighten dark spots, hyper-pigmentation, and other skin blemishes (5). Below are some of the best aloe vera face mask recipes that can be easily made at home. If you are making the aloe vera gel at home and want to use it regularly, then store the extracted gel in an air tight container in the fridge. This way, the gel will be in a good condition and can be used later. Choose the leaves of the plant carefully, the leaves in the middle of the plant contains most of the gel as they are juicier, softer, and widest there. Cut the leaves at an angle from the base of the plant. Now, make the leaves stand upright for 15 minutes to allow the sap to drain out. The sap is a yellow colored fluid which will ooze out the moment you cut the leaf. Allow it to drain out completely. Wash the leaves to remove the remaining sap from the leaves. Lay the leaves flat on the cutting board and carefully cut the sides of the leaves which have the thorns. Cut from both the sides. Once that is done, you need to peel off the green layer of the leaf and dice the transparent gel into cubes. Alternatively, you can also slice the leaves into two halves from top to bottom and scrape off the transparent gel with the help of a spoon. Store this gel in an air-tight container in a cool place. Now that you know the many benefits of this plant and how exactly you can extract some fresh gel, let us look at the different ways in which it can be combined with other ingredients and used by various skin types. Just make a paste of the aloe vera extract and rose water. Apply it on the face. Keep it on for 20 minutes. Alternatively, you can massage the face pack for 2-3 mins onto the face before rinsing it off to cleanse your pores. You can repeat this up to three times a week. Age spots, pimple marks, pigmentation marks, burns or injury marks can be treated using this aloe vera face pack. 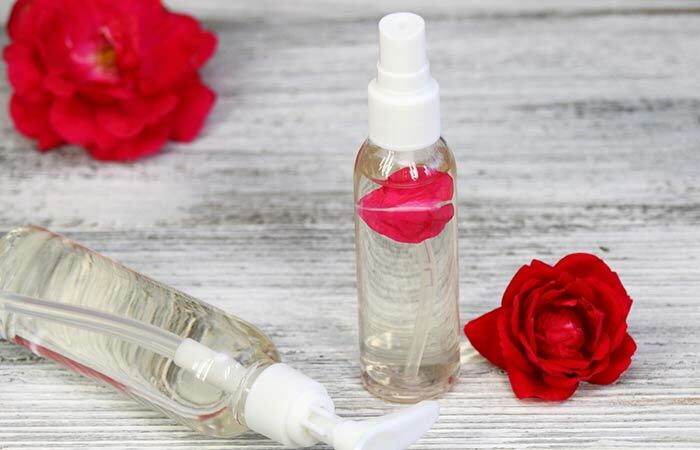 Rose water is an astringent that soothes and tones the skin. It enhances the cell regeneration process and also improves capillary circulation (6). Dry skin, normal skin, combination skin, and oily skin. Combine the multani mitti powder and aloe gel. Add cold milk if you are not sensitive to dairy. If you are, use rose water instead to adjust the consistency of the paste. Apply this on the face and let it sit for 10-15 minutes. 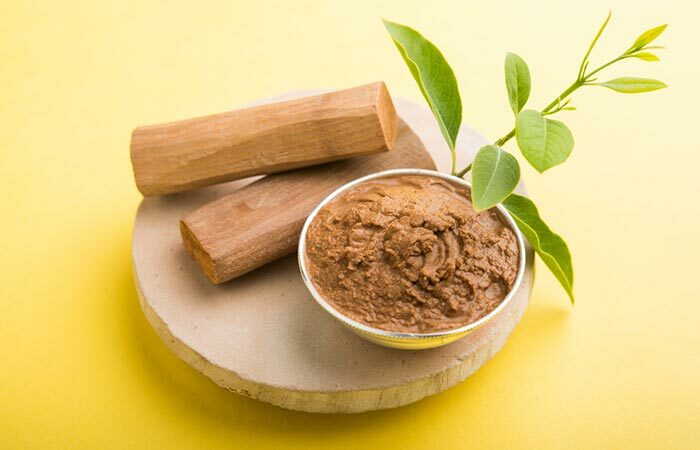 Being a cosmetic clay, multani mitti thoroughly cleanses your pores by absorbing all the impurities and excess oil (7). Normal skin, combination skin, and oily skin. Apply the paste evenly on the face and neck, and leave it on for about 20 minutes. Wash if off with lukewarm water and pat dry with a clean towel. For the ladies (and gents) who want glowing and radiant skin, this aloe vera face pack is for you! 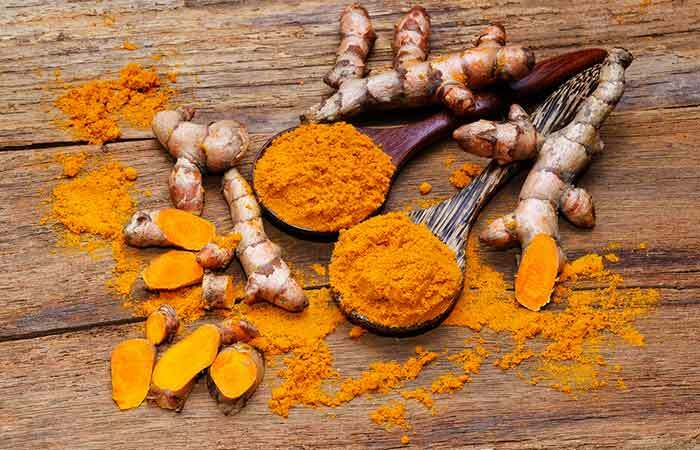 Turmeric brightens up the complexion and evens out the skin tone. It also contains antioxidants and anti-inflammatory compounds that treat any existing skin issue (8, 9). 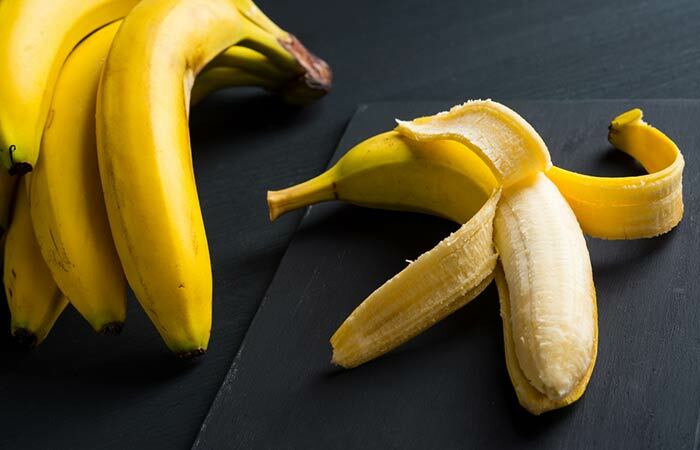 Thoroughly mash the banana pieces and mix the aloe vera gel with them. Apply this on the face and let it sit for 10 minutes. Do this once a week, or up to twice a week if required. This face pack acts as a deep nourishment treatment for the skin. The rich fat content of bananas hydrates and moisturizes the skin, giving relief from dry patches and flakiness. You will also see an improvement in your skin’s elasticity after using this face pack (10). Dry skin and normal skin. Blend everything. 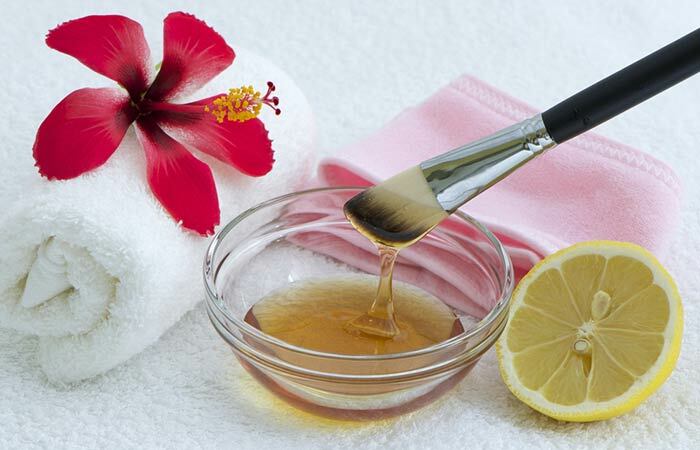 Use honey for dry skin and normal skin, and lemon juice for oily skin and combination skin. Apply the face pack. Keep it on for 10-15 minutes. You can apply this up to thrice a week. 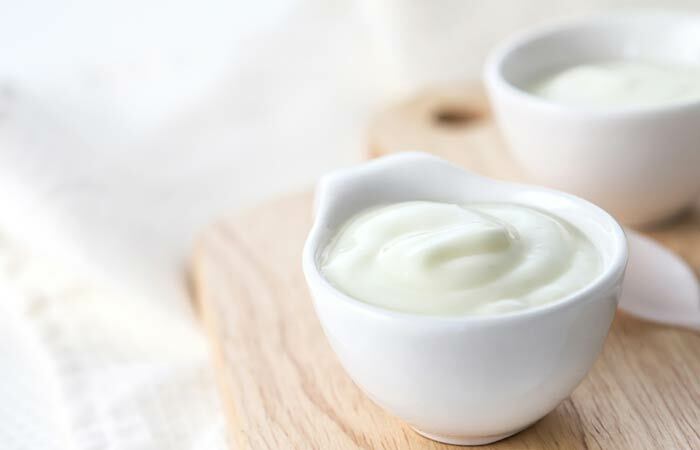 Curd (or yogurt) is an excellent skin cleanser that can be used by all skin types. It contains mild acids that exfoliate the skin and remove all the dirt and impurities. Yogurt contains healthy fats that nourish the skin (11). Make a smooth paste of aloe vera gel and cucumber juice. Add a few drops of rose or any other essential oil. Apply on the face and let it sit for 15 minutes before rinsing it with cold water. This face pack is excellent for tanned skin and sunburns. 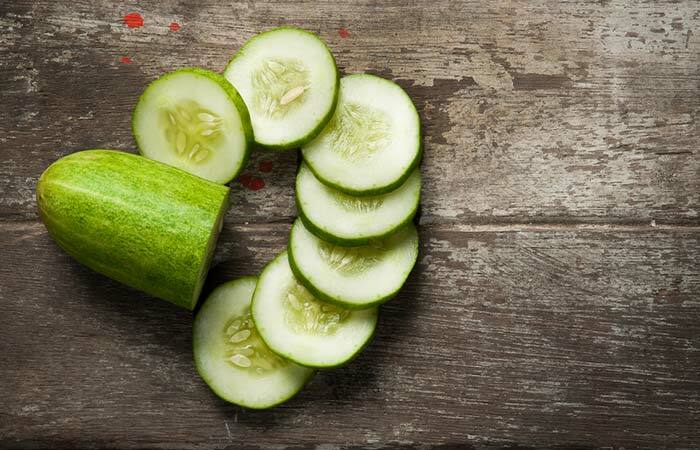 Cucumber is very soothing for irritated and sunburned skin. The high water content from it can also hydrate your skin. It will get rid of oil, dirt, and impurities from your skin, leaving you feeling clean, refreshed, and rejuvenated (12). Soak the lentils for an hour. Blend along with the aloe vera gel and tomato. Apply this face pack and let it dry for 15-20 minutes. Wet your fingertips and massage the face pack using circular motions. Rinse it off completely with tepid water. 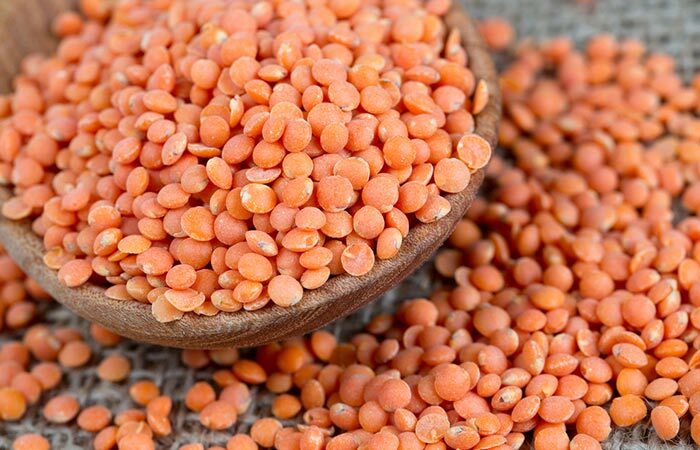 Red lentils, when ground, work as a wonderful exfoliating agent. While the pack is on, aloe vera works its magic, and when you gently scrub the face pack off, the lentils remove the dead cells and unclog pores. You can get rid of blackheads and whiteheads with this face pack (13). Apply a paste of aloe vera gel, lemon juice, and honey on the face. Leave it on for 10 mins, then and wash it off. Alternatively, you can also make a mixture of the same and apply the mix with the help of a cotton ball on the affected areas to treat them. 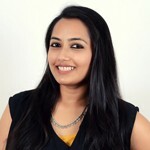 Skin tanning is a common problem in India. It is also very difficult to get rid of the tan easily. Try this simple and effective pack for tan removal. The lemon juice’s acids lighten the skin tone and the honey soothes the skin irritated by the sun (14). Wash and grind the neem leaves with some water to get a thick paste. Add aloe vera gel and honey to this. You can add some water to adjust the consistency of the face pack. Apply this on the entire face or only on the affected areas. Leave it on to dry for 10-12 minutes and then wash it off. Apply this once or twice a week depending on the severity of your acne. 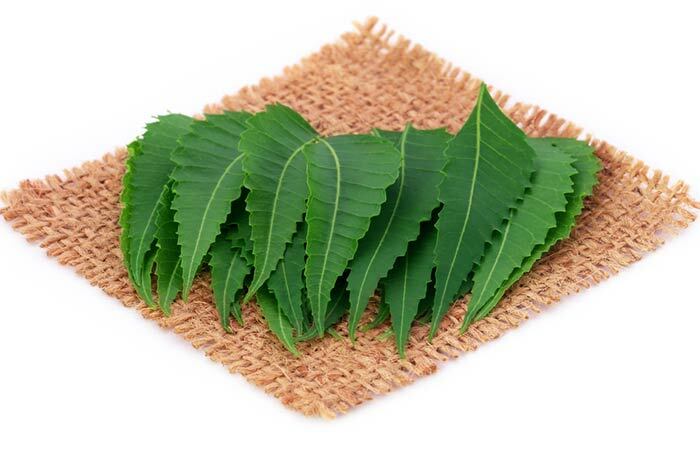 The antimicrobial properties of neem are often employed for acne treatment (15). A bacterial infection in the clogged skin pores is responsible for pimple formation. When these bacteria are killed, the pimples are healed in no time. Oily skin, acne prone skin, and combination skin. Mash the papaya pieces and add aloe vera and rose water to this. Mix everything. Apply on the face and keep this face pack on for 10-12 minutes. Wash it off with normal or cool water. 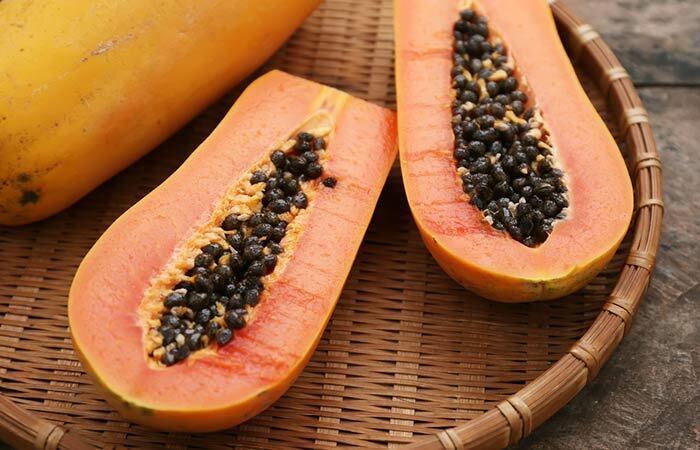 The enzymes in the papaya will work as a natural chemical exfoliant. The dull and dead top layer of the skin will be removed to reveal fresh, glowing, and bright complexion. Papaya also helps to unclog pores and smoothen skin (16, 17). Normal skin, combination skin, oily skin, and mature skin. Make a paste by mixing sandalwood powder with aloe vera gel and some rose water (use cold milk if you are not sensitive to dairy). Let the face pack dry for about 15 minutes and then wash it off with cool water. Fair and clear skin can be yours in no time if you use this face pack regularly. 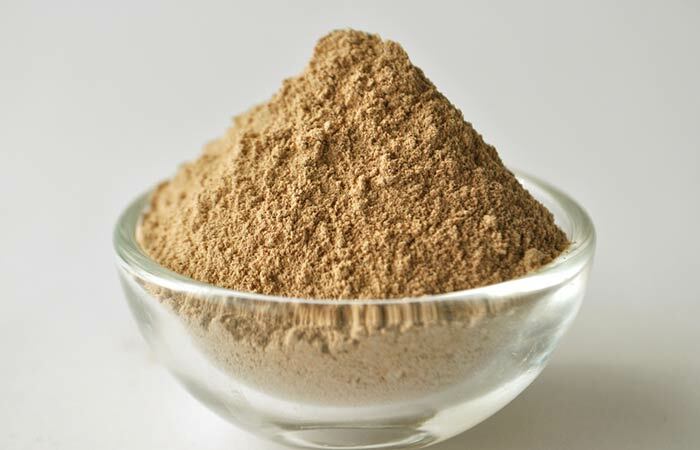 Sandalwood powder has been used since ancient times to soothe the skin and improve the skin tone (18). Normal skin, combination skin, oily skin, and acne-prone skin. Mix the two ingredients to get a paste. 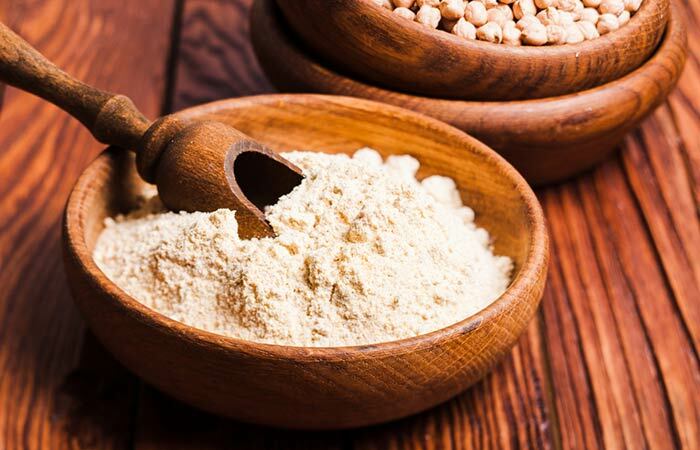 Besan is a type of flour that exfoliates the skin and also tightens your pores (19). Use this face pack regularly to maintain the health of your skin in the long run. Try these effective and easy aloe vera face packs regularly for flawless glowing skin. Use the right combination of ingredients for your skin type as a single wrong ingredient can do more harm than good, especially for acne-prone and sensitive skin types. So, which aloe vera face pack are you planning to try? Do let us know in the comments section below.